Choosing the best apps for travel isn’t always easy, especially considering there are over 3 million apps available at the most popular app stores! Lucky for you, I’ve downloaded, used, deleted and re-downloaded more than my share of apps, and from my trials and tribulations, I’ve compiled this handy list of 5 wonderful apps that can save you money while travelling. Probably my single favourite travel app. Trail Wallet allows you to keep track of your expenses so that you don’t overspend. This app allows you to choose from a variety of categories (like food, transport, accommodation etc.) and even add some of your own (like tips, alcohol, massage etc). Every time you make a purchase while travelling, you just enter the amount into the trail wallet app in the local currency. The app will automatically convert the local currency into your home currency in real-time and it will also keep track of your spending in sleek, easy-to-read pie charts and bar graphs. 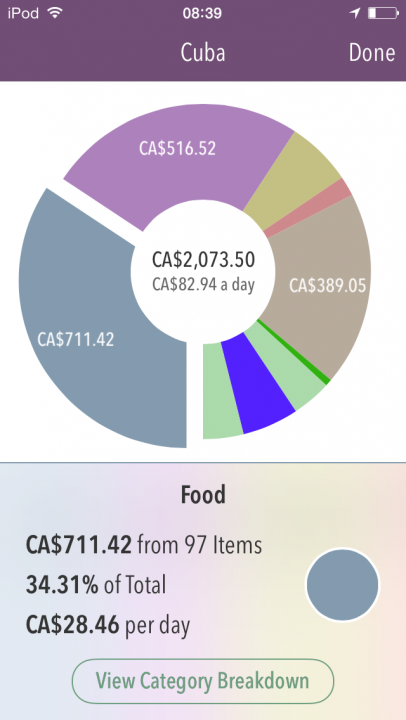 Once you set your daily budget, the app will show you how much money you have left in the day, the month and the trip. I love this app and I use it all of the time. It saves me from blowing my budget and helps me to decide where I need to cut down on spending. Download it! For OsX only. This app makes it easy to balance cost, comfort and convenience on all of your flight bookings. Sometimes when you’re searching for the best deal on flights, you get so caught up in cheap prices that you fail to notice that the flight includes a 12 hour layover, has no food, is going to charge extra for baggage or is seriously lacking in leg room. This has happened to me countless times. 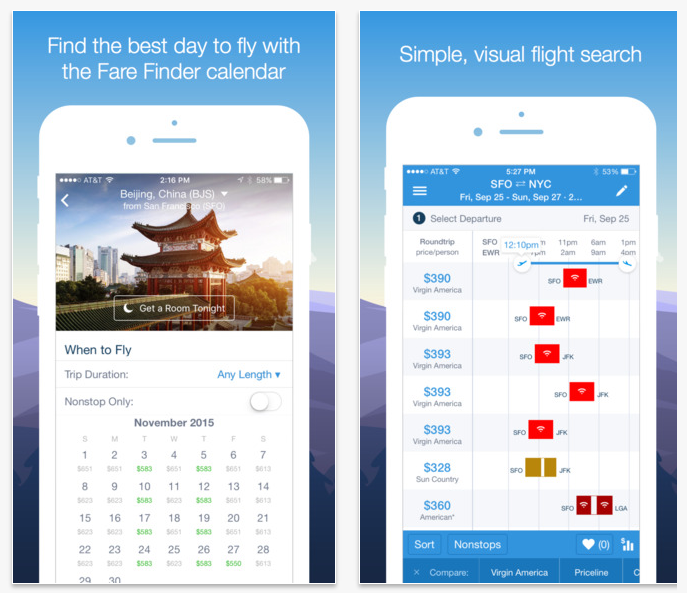 The Hipmunk app will ensure that you’re getting the best flight for your money. The app also pulled a page from my favourite flight booking engine, Google Flights, and actually allows users to search fares for a destination on a 30 day calendar. This will ensure that you know which day is the cheapest to fly. Another cool feature of this app is the ability to discover new destinations based on your travel style, interests and budget. Basically, this app can do a lot of the things that a travel agent can do and it’s 100% free. Download it! For OsX and for Android. If your next vacation includes a road trip, you may want to download this wonderful money-saving app. On my recent trip to Canada, I found that gas could fluctuate upwards of 20 cents / litre within a 10 km radius! 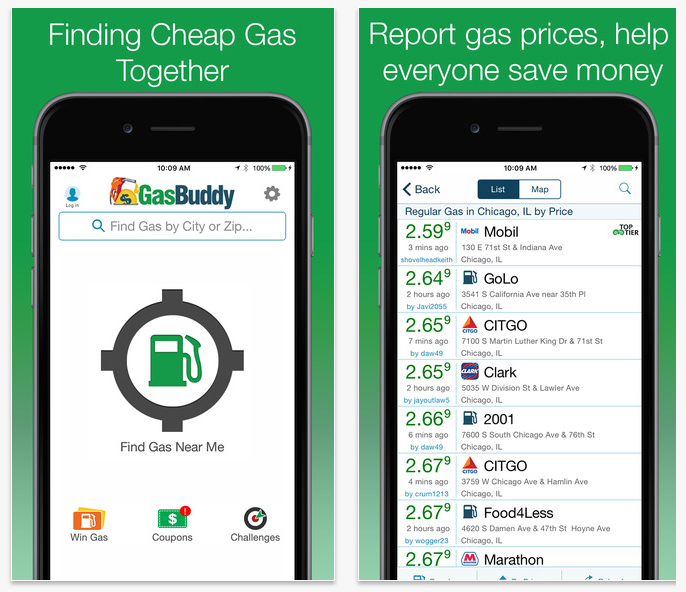 GasBuddy will search around your location to find you the best deal on gas. The app relies on its users providing real-time data and it encourages them to report gas prices as they go. If you continuously report your own gas prices, you can even win points towards free gas! Nobody wants to spend money on data and roaming while travelling. Wi-fi isn’t always free and free wi-fi finding apps don’t generally include all of the important information that you need when searching for a truly free connection. 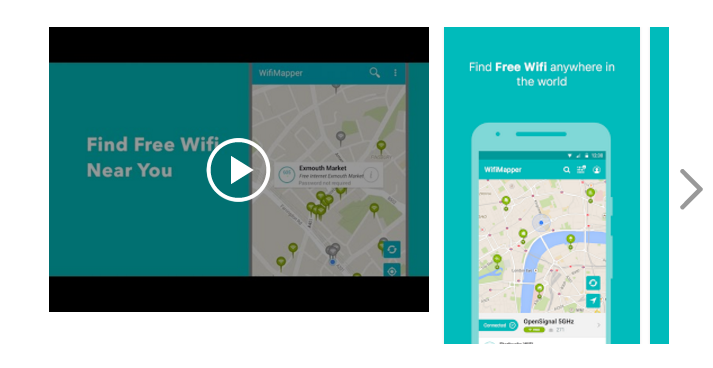 The WifiMapper app has a lot of cool features that set it apart from its competitors. The developers of the app claim that it draws its information from over 500 networks worldwide and it even integrates connections found on Foursquare. I’ve always recommended searching Foursquare for comments that will help you land free wi-fi, but now this app will do it all for you! In addition, it will tell you if the wi-fi connection is in a train station or restaurant and it will even measure the quality of the signal, so that you can easily find the fastest wi-fi in your area. I only recently found out about the amazing world of Groupon discounts when I headed to New York earlier this year. There were deals all over the city on everything from electronics and clothing stores to restaurants and transportation! 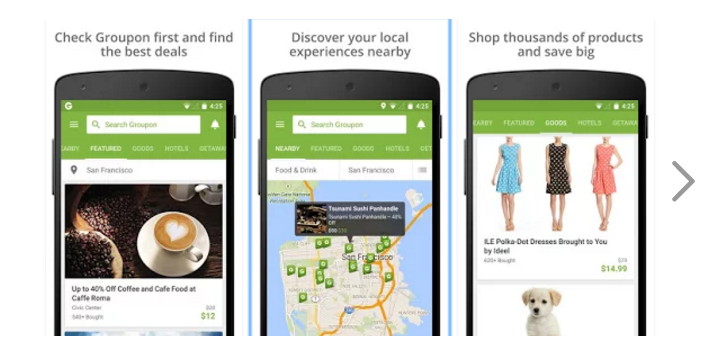 The Groupon app will allow you to search for the best deals around your current location and it will even allow you to book and purchase right from your smart device. The app can literally save you hundreds of dollars on hotels, food, transport and shopping. Basically, depending on where you are, you can save money on every aspect of your trip. The Groupon app is definitely a good one. All of apps that I listed in this article are either free, or allow users a free trial. The only app that you have to pay for is the Trail Wallet app and at just $5.79 for the full app, it’s a great deal. I highly recommend trying all 5 of the applications in this article and use them while travelling. You may be surprised at how much money you end up saving. Don't subscribe All Replies to my comments Notify me of followup comments via e-mail. You can also <a href='https://www.creditwalk.ca/comment-subscriptions/?srp=4551&srk=2648578ecea05c83754707575dc5a494&sra=s&srsrc=f'>subscribe</a> without commenting.